The BBC Performing Arts Fund fellowship scheme offers bespoke placements within existing organisations, designed to support individuals through the early stages of their performing arts careers. 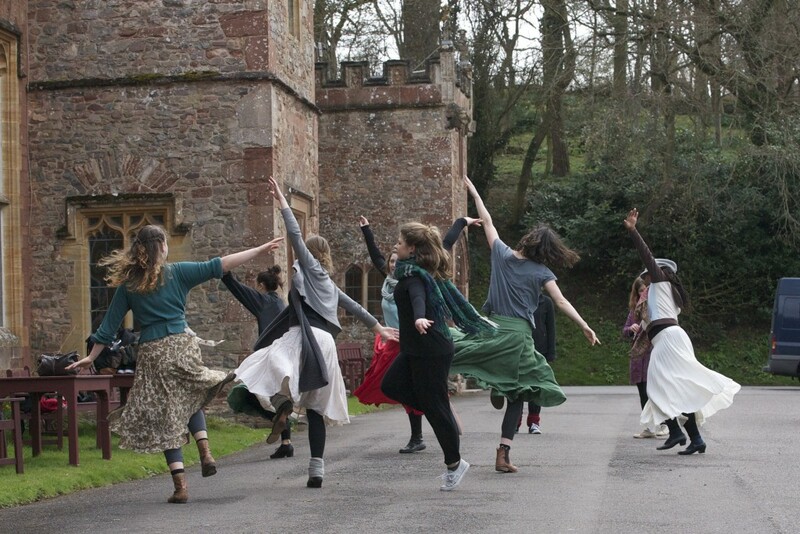 Dancer / choreographer Hannah Moore was supported throughout 2015 in a fellowship placement at Halsway Manor. During this time she has enjoyed access to and training in traditional folk arts, benefited from space to create, develop and perform work, with mentorship from key traditional and folk dance professionals. She also worked with a number of dancers in intensive research and development periods. Silent Dance is the latest performance piece developed by Hannah. It is inspired by Sherryl Jordan’s novel The Raging Quiet and the show weaves together folk dance and music with circus and contemporary dance to tell this beautiful medieval story. Halsway Manor joined Birmingham Royal Ballet, Dancebase in Edinburgh, Manchester’s Z-Arts, Prime Cut in Belfast and London’s Old Vic as one of the 32 selected arts organisations that hosted a BBC Performing Arts Fund Fellow, offering professional support, training and development opportunities in addition to the PAF grant of £10,000. “In Hannah we have found the perfect match for this Fellowship. She grew up steeped in folk traditions and went on to train and work in a range of contemporary movement and theatre styles, including circus. Her artistic aims are to create a new fusion of styles, and to blend folk with contemporary forms drawing on folk tales to create new narrative works for diverse audiences.